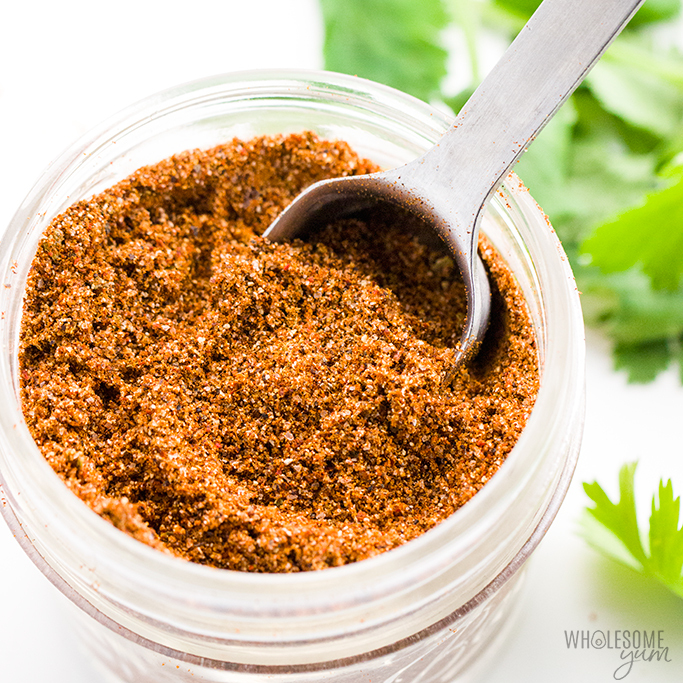 An easy 5-minute recipe for how to make homemade gluten-free taco seasoning mix! 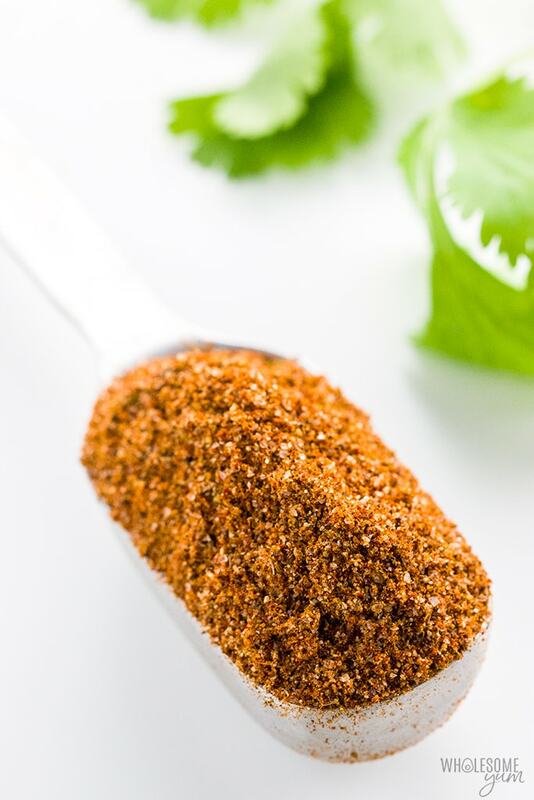 This natural, keto low carb taco seasoning recipe uses simple ingredients you can find at any store. I’ve been a bit delayed on sharing some big news – to me, anyway. It actually happened about a week and a half ago, but I was waiting for the right time to share. It seemed like my super awesome announcement had to be paired with an exceptionally awesome recipe. So, I thought the perfect time to tell you was with a staple recipe that I already use in lots of my other popular recipes. 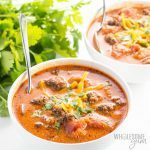 My homemade, keto low carb taco seasoning recipe! The big surprise is, I left my day job to run Wholesome Yum full time!! And even though it was a hard decision – I loved my job as a senior software engineer – it was the right thing to do. I am over the moon excited to focus on Wholesome Yum! 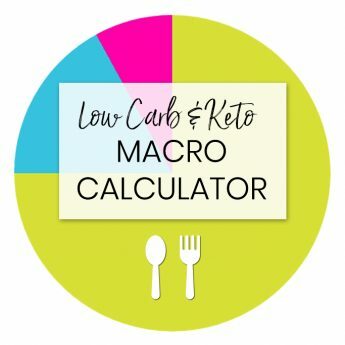 It means more time to create great recipes for you, to help you guys in our support group, and to create resources like low carb food lists, meal plans and cookbooks. And, I’m not going to lie. It also means more time with my family, my kids and my friends. Working two full-time jobs has been so taxing, and I am ready to restore some balance in life. Okay, let’s talk low carb taco seasoning mix! When it comes to seasoning mixes, many of them have ingredients that are not so great. And, they are expensive! That’s why I prefer to make my own keto taco seasoning mix. It’s actually really easy to do. What’s in taco seasoning? If you’re doing it right, it’s basically just a bunch of Mexican spices mixed together. The main differences in homemade taco seasoning mix recipes are the ratios, and a few of the seasoning options. For example, some skip paprika altogether. I actually have not seen smoked paprika in a taco seasoning, but always use it in mine because I believe it tastes better. Feel free to use regular paprika if you want to. The dried oregano can be replaced with coriander or dried cilantro, if you prefer those. Finally, sea salt is optional depending on if you want a salty taco seasoning or not. I’ll explain more about that shortly. 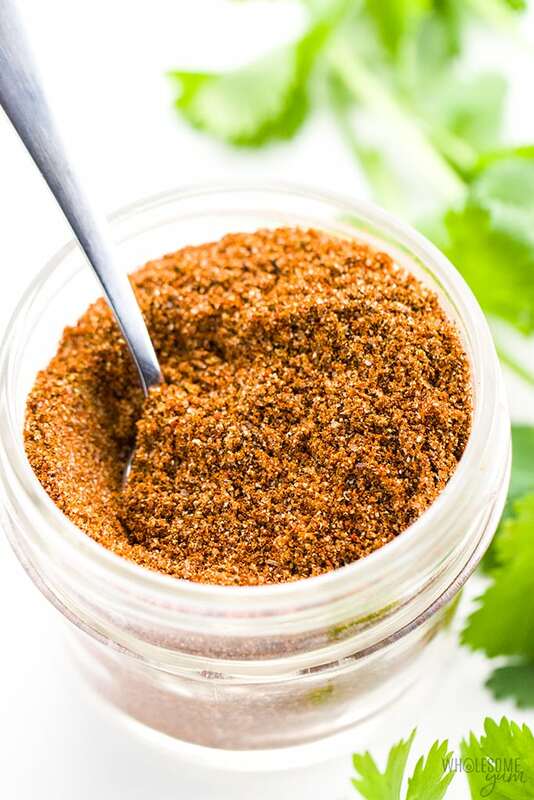 But first, can I just tell you how much I love using this keto taco seasoning in recipes? 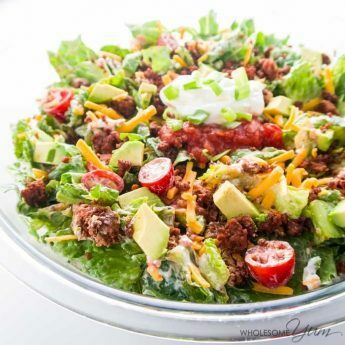 My healthy taco salad recipe is one of the most popular recipes on this low carb blog, and my all-time favorite way to use low carb taco seasoning. Of course, taco seasoning is also delicious in actual tacos. Wrap the meat along with taco fillings in some low carb coconut flour tortillas, and you’re good to go! Stay tuned for more recipes using this keto taco seasoning mix in the next few months. As you can see, low carb taco seasoning mix is just a matter of mixing spices together. Sadly, that’s not all you’ll find in store bought seasonings, but it should be. And it can be. Just make homemade taco seasoning yourself. I’ve been making my own homemade taco seasoning for a long time, but prior to that, I searched for them in stores. Unfortunately, the options I found were filled with chemicals and sugar, and the few that weren’t were expensive. I wanted an affordable recipe that I could call low carb taco seasoning. And keto taco seasoning. And gluten-free taco seasoning. And paleo taco seasoning. And even whole30 taco seasoning. So, I knew I had to make my own to accomplish all of these. I came up with my list of DIY taco seasoning ingredients, mentioned above. Finally, I played around with ratios. Obviously, taco seasoning mix that you buy at the store isn’t going to list how much of each spice they included. I knew that chili powder was the main ingredient, and everything else was just testing. Except one thing. Salt! I knew how much I would need even before I started testing. A long time ago, I read somewhere that Julia Child recommends a teaspoon of salt per pound of meat. Her advice was not specific to gluten-free taco seasoning, or any kind of mix at all, but simply a general rule of thumb. I’ve been using this amount of salt ever since and it has yet to fail me. So, I made sure that the amount of salt in this low carb taco seasoning mix also matches Julia’s recommendation. So, I bring to you, the best taco seasoning ever. With a well-tested spice ratio and Julia Child’s recommended amount of salt, how could it not be? 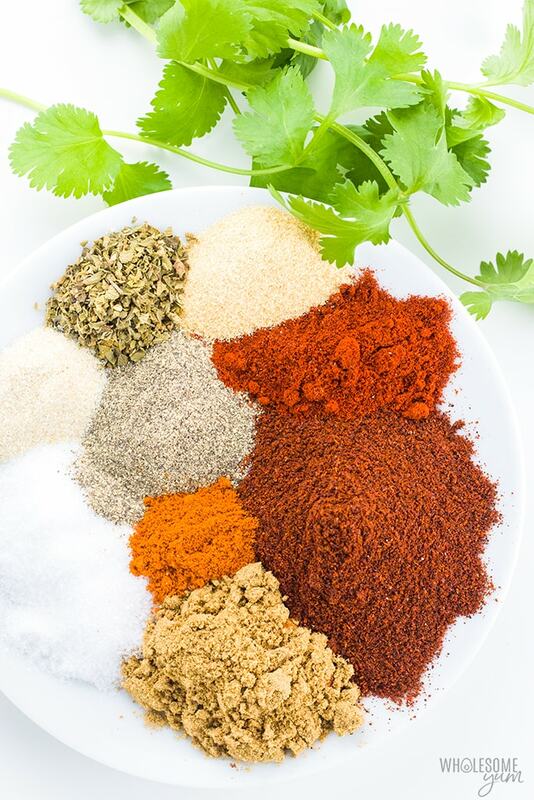 Are you ready to learn how to make your own taco seasoning? There isn’t much to it. All you have to do is stir together the ingredients! Grab all your spices, stir them together in a bowl, then transfer to storage. Or, if you don’t want to dirty extra dishes, you can place the seasonings right into your storage container, cover it, and give it a good shake. My easy taco seasoning recipe makes a large batch, because I think it’s annoying to make it every time I need it. It makes enough taco seasoning mix for 3 pounds of meat, which is usually three separate meals at our house. 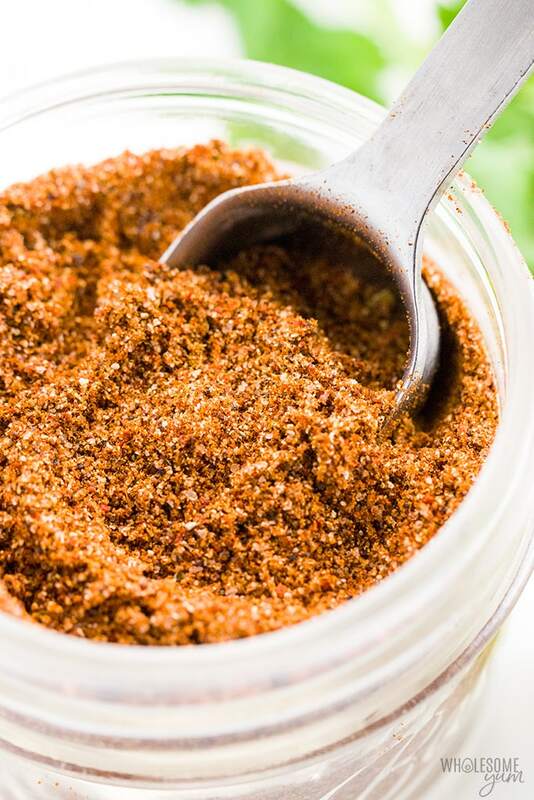 If you have a larger family, or if you want to make it even less often, feel free to double, triple or even quadruple this homemade taco seasoning recipe. As for how to store taco seasoning, just keep it in a cool, dry place. I’ve kept the spices used for gluten-free taco seasoning for years this way without a problem. Why would it be any different if you’re storing them combined into a mix? If you really want to, you can store your taco seasoning mix in the freezer. I don’t see much point, and you run the risk of freeze drying if there is any exposure to air. It’s up to you if you feel it’s necessary. Besides, I’m pretty sure you’re going to love this keto taco seasoning mix so much that it’s not going to last long enough to make freezing worth it. 😉 It goes so fast at our house! On the other hand, if you really want enough gluten-free taco seasoning for just one batch, change the number of servings on the recipe card from 12 to 4. That way, it will make 2 tablespoons of mix. Why 2 tablespoons? More on that in a second. How Much Taco Seasoning Per Pound of Meat? Okay, so you’ve made the best taco seasoning recipe ever. How to season taco meat with it? It’s really easy. 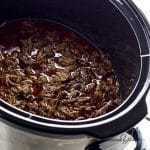 And, whether you want taco seasoning for ground beef, steak, chicken, or fish, the amount to use is the same. Simply use 2 tablespoons of taco seasoning mix per pound of meat. All the premade packets recommend this, and it’s actually the same for homemade taco seasoning, too. I’ll go over how to use taco seasoning for ground beef, because this is the most common. Always start by browning the meat first. Once it’s cooked through, add 2 tablespoons of taco seasoning mix and 1/2 cup water per pound of meat. Stir well, then simmer until the water mostly evaporates. There you go – you have taco seasoned ground beef! 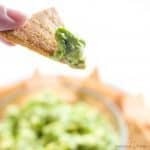 If you are using gluten-free taco seasoning in a recipe that expects it to be without salt, or if you just want to salt to your liking, you can. It’s totally fine to omit the salt in the seasoning. If you do, reduce the seasoning amount per pound of meat from 2 tablespoons to 1 tablespoon + 2 teaspoons. That will get you the same ratio of spices. Who’s ready to make some delicious tacos? How to use taco seasoning mix: Brown the ground beef (or other meat) first. Then, add 2 tbsp (28 g) seasoning and 1/2 cup (120 mL) water per pound of meat. Simmer until the extra liquid evaporates or absorbs into the meat. Recipe makes approximately 6 tbsp total. 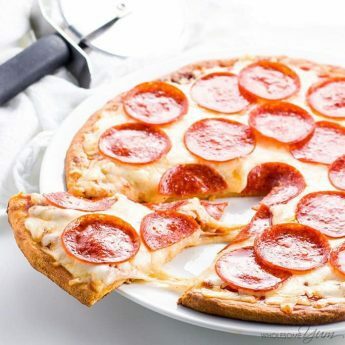 Use 2 tbsp per 1 lb meat, with no additional salt - more details in the post above. Serving size is for enough seasoning for 1/4 lb of meat, which would be 1/2 tbsp seasoning. Click or tap on the image below to play the video. It's the easiest way to learn how to make Taco Seasoning! I absolutely LOVE your taco seasoning recipe! I made this recipe and it is very tasty. I prefer low sodium, so I reduced the salt to 1/2 teaspoon. Perfection. It also saves me money by not having to buy low sodium taco seasoning. Thank you for the recipe. Hi Caroline, Taco pie is a great idea! 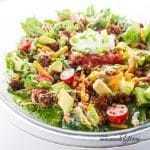 One of my other go-to’s is taco salad. You can also make tacos with jicama tortillas or coconut tortillas. I made a recipe for a taco bake tonight and needed a fast and easy recipe for taco seasoning. 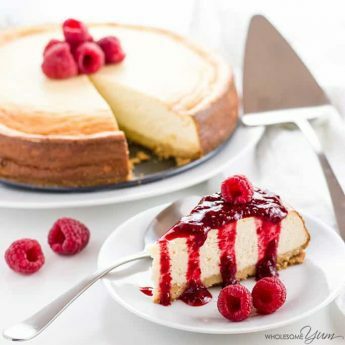 Found this one in my online recipe book. It is a winner! This is THE best taco seasoning I’ve ever made/used. Awesome, Awesome, Awesome!! 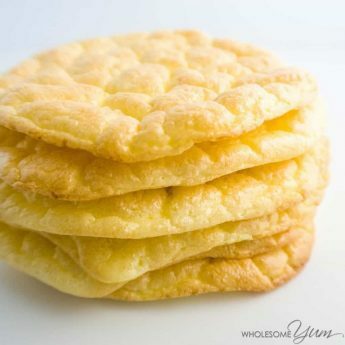 This recipe is perfect, wonderful taste, husband approved and no junk ingredients. When I looked at store bought taco seasonings, I couldn’t believe how much “other” stuff was in it. Thank you so much for taking time to post this. Did I miss the ratios? I don’t see how much to add of each ingredient. Hi Chrystal, Ingredient amounts don’t show up properly in Safari reading mode. If you turn that off you should see them. The BEST taco seasoning recipe I’ve found ANYWHERE. Keto or otherwise. 10/10 would recommened, tastes better than some of the package mixes. I don’t use sea salt – but I use kosher salt. Do you know if it would still be a tablespoon of salt with kosher? Or should I come off of that a bit? I know it’s different to cook with and different amounts. Hi Eryn, The same amount should be fine since they are similar size granules. Hi Kathy, You can use a sugar-free sweetener – read about them in my sweetener guide. I love this seasoning recipe. It works great for chili too! Yes, I love this seasoning in chili too, Sonya! Thanks for stopping by! We love this seasoning mix so much. I make 60 servings at a time so I don’t have to make it every week. My son puts it on everything but breakfast. But I have adjusted it a little and I thought you might want to try. I keep a star anise pod in the jar. It contributes that little something nutmeg is usually used for and is the thing my kids miss when they eat someone else’s food. I am so happy to hear that, Teresa! Thanks for stopping by! This recipe sounds great. Quick question I have never tried cumin and I was wondering if it was on the spicy side, because I can’t eat very spicy food. Thanks for sharing. Can’t wait to try this taco seasoning mix. Thank you, Debi! No, cumin is not spicy hot at all. It just adds flavor. You may want to omit the cayenne pepper if you don’t want spicy hot. It’s Cinco De Mayo so I decide to make my own healthy version of tacos using this taco mix, let me say absolutely amazing! Keep the recipes coming. This was easy for someone who doesn’t cook very often. Can you provide guidance on how to prepare chicken tacos? I am so happy you liked them, Chantelle! Thanks for stopping by! Very good taco seasoning. I like the option of making my own seasoning mix, because of high blood pressure I can adjust the salt content. It will certainly become part of my spice rack. Hi Gina! I am so happy you liked the taco seasoning! Thanks for stopping by! This recipe fits every bill and you can’t go wrong with Julia! Will definitely try! Thank you, Jeanette! Hope you love it! Congratulations on your career change. We’ve never eaten tacos before. The quantity of chili is a bit spicy for my family. If I reduce the amount to 1 tbsp, which of the other ingredients would you recommend adding to make the same quantity? Would you suggest onion powder over garlic powder, for example? Thank you, Nicola! If you don’t want spicy, I’d actually skip the cayenne pepper which is more spicy than the chili powder. The reason is because the chili powder provides a big part of the flavor. 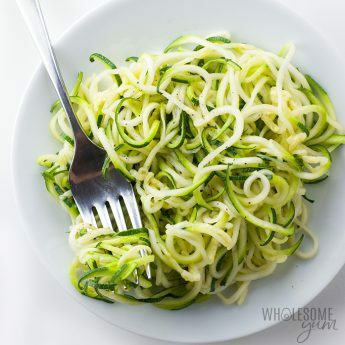 So, you could try it as written but with no cayenne pepper – in that case everything else can just stay the same. If you still want to reduce chili powder to 1 tbsp, I’d probably replace that with an additional 1/2 tbsp cumin and 1/2 tbsp smoked paprika. Let me know how it goes if you try something different! Can you make this without cumin? My younger daughter is deathly allergic to peanuts and awhile back there was a cross contamination. Hi Susan, Yes, you can. The flavor would just be a little different. If you omit the cumin, the right amount of seasoning mix to use per pound of meat would be 1 3/4 tbsp, which is 1 tbsp + 2 1/4 tsp. Otherwise, you could replace the cumin with more smoked paprika, if you like the flavor of that. Thanks, Maya. I really enjoy your recipes! Thanks for the tip… I’ll definitely make this! I hope you like it, Susan! Maya, I need a little help with the directions on How to Use the mix. How to use taco seasoning mix: Brown the ground beef (or other meat) first. Then, add 2 tbsp seasoning and 1/2 cup water per pound of meat. Simmer until the extra liquid evaporates or absorbs into the meat. What do I add the 2 tbsp of mix to? Do I simmer the mix and water in with the meat in the skillet, or is the simmering in a separate pan and then stirred in with the meat after the water evaporates? I can see doing it either way—the point is to get it into the meat. Thanks and congratulations on leaving the corporate rat race. Hi Malcolm, Great question, thanks for asking! Add both the mix and water directly to the meat in the skillet. You don’t need a separate pan. And thank you, I’m really grateful to be able to do this!